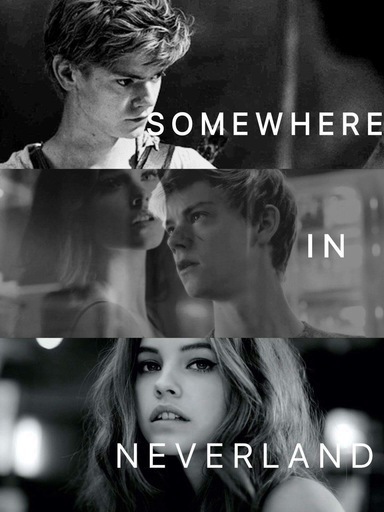 This is a Maze Runner: The Death Cure Fan Fiction of Newt. Chapter 34, Thomas and the group entered the gates of Denver and Newt was left alone on the berg. It was Newt’s first day alone on the Berg when his group left to do their task in Denver. He just got out of the shower and finished eating his lunch. He lied on the bunk bed staring at the ceiling. It seemed like being alone felt like the virus in his brain was syncing in faster than average. “Shuck this,” Newt threw the pillow on the wall and rubbed his hair hardly out of frustration. His palm washed through his face as he closed his eyes. The virus in his brain made him feel weak, taking over everything. He’s becoming more and more aggressive and he can’t even do a shuck thing about it. Finally his mind slowed and he fell asleep. The loud squealing of the hinges woke him up. It seems like the ramp of the cargo door is slowly pivoting down. At first, he thought it was just him being paranoid until he heard its edge landed on the ground. He stood up leaving the bed in a flash, not knowing what to do. The group can’t be back so soon. It must be the guards, he figured. He ran through the hallway, finding a good spot to hide. He heard footsteps on the ramp and it made his heartbeat pick up the pace. He went inside the shower area of the room next to the common area, locking the door. What’s the bloody point? I’m gonna get caught anyway, he thought. “Is anybody in here?” A young woman shouted as he heard her stepping closer. He heard doors being opened and closed. The rooms are probably being inspected. After the doors stopped making sounds, it became silent for a while. Newt felt like he could hear his heart beat fast through the sudden silence. The shower room’s doorknob turned. He watched it moved again for the second time. Loud knocks hit through the plastic door. “Is someone in there?” It’s the young woman again. He swallowed. He knew it was done, it all goes down to this. He’s going to be sent down with all the Cranks. He heard the doorknob being destroyed by a gun. He readied himself for the guard. He wasn’t planning on escaping anymore, it was pointless. He put his hands up to the air the moment the door opened. A gun was directly pointed at him. “Freeze! Do not move!” She commanded. There was only one guard. 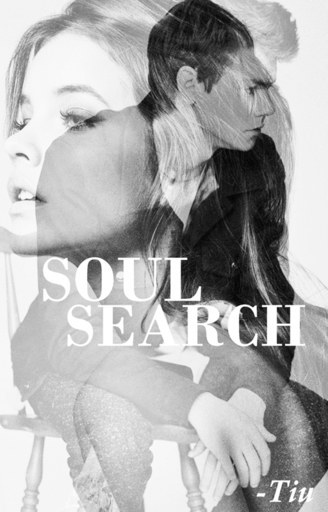 He searched behind her but there was no one else. She was alone. She wore a protective suit with a helmet that has goggles, making her face unreadable. Newt hasn’t said a word, the guard’s hand that held the gun suddenly softened. He was just standing with his hands up, staring at her. She slowly put the gun down. He wondered if he controlled her mind accidentally making her do what he wanted, but the idea seemed so ridiculous. “N-Newt?” The guard asked, stammering. He blinked. She recognized him. Did he just hear his name? Impossible. “Who are you?” He asked back, putting his hand down. He watched her put her gun back to the holster. It was his chance to escape, he thought, but he wanted to know what’s going to happen next. He wanted to happily smash the girl’s head, he shook his head snapping out of that insane thought. She removed her helmet, and her hazel hair fell down to her shoulders. Her ocean-colored eyes met his. What a lovely sight, he said to himself. He stared at her long enough but not a bit of familiar memory hit him. “It’s me, Aust. Don’t you remember?” She answered. She has an odd accent too, but not the same tone he has. It was close though. Aust was a really peculiar name. But his name was as silly as hers. He began to question what kind of a hell name is Newt? “Aust? What kind of name is that?” He was curious to ask. “I guess your head’s still wiped from WICKED.” She laughed and it seemed familiar, but his head hurt struggling to remember a thing about her. “Why’d you buggin’ laugh?” He said, sounding ill-mannered. “Nothing, it just felt like the first time meeting you again. You asked me the same question when we were both turned in at WICKED.” She said. She worked for WICKED obviously. He never thought he’d regret getting his memories back when he had the chance. He blinked, regretting it now would only made the situation worse. His eyes never left hers. Somehow, something inside him pricked and it hurt thinking that losing a memory of her gorgeous face broke him. It made him hate WICKED so much more. He didn’t answer, he just waited for her explanation. “I was named after Augusta Ada Lovelace, as they told me.” He nodded, it already made sense. He remembered he was named after Isaac Newton, making the silly nickname of Newt. “You shouldn’t come near me, I have the Flare.” He didn’t know why he said that knowing fully that she could turn him in to send him along with the other Cranks, but something inside him cares for her. Could it be the Flare? Aust closed the cargo door and they sat down on the couch in the common area. “Why were you checking the berg alone? Where’re the other shuck faces?” He asked on the same rude tone. He couldn’t control it but she seemed to be fine about it. “I’m not really one of the guards, I just stole this suit to get out of the freaking office.” She explained. She seemed like she was a tough one. “My brother works for the government here in Denver, he kept me isolated since Munies are being hunted down and sold back to WICKED, they assumed.” He recalled when Janson told them why people hated Munies. It was the day his name was called on the list of not being immune. It still annoyed him thinking about Thomas and Minho’s reaction about it. “You obviously worked for WICKED, so why’re you here? You escaped?” He had so many questions to ask her but he had to slim it, ask her one by one. Just to show her some respect even though his insides are spinning in a thousand directions. He pulled himself together. She started unzipping her suit down and he stared. Newt wanted to look away but he didn’t. It felt like he can’t hold himself any longer but he resisted. He told himself that the virus can’t be moving that fast. “Uh- sorry, do you mind? This suit is really burning my skin.” Aust asked, he blinked not knowing if he should shake his head or just say no. His mind was messed up. He composed himself. “N-no, not at all.” He stammered as he looked down on the floor hiding his red face. He fixed his hair shyly to make a gesture. Newt was stunned for a moment. Best friends, huh? He never thought he had one. Being on a memory wipe sucked, it sucked so much he wanted to punch every staff of WICKED. “We were best friends?” Hearing himself say the word were stung him inside. “Yeah, just like Thomas and Teresa are. I watched you everyday at the Glade,” She paused, spacing out. “It was unbearable, but I’m so glad to see you now. Alive.” She smiled. Newt smiled back, bitterly. He knew he wasn’t going to last long because of the Flare, somehow he thanked the memory wipe. If he remembered her, it would bloody hurt like hell knowing he has the virus and has to leave his best friend behind while he go insane. “Well I’m not going to be around long enough, am I?” Newt answered giving a fake laugh. She didn’t reply. She gave him a look, something that says she wanted to hug him. “I missed you, Newt,” And he felt the hug that he was waiting for. It felt good, but it hurt a lot even if he didn’t remember a single memory of her. “I’m sorry, I wish I wasn’t immune.” He felt her hug tightened. Newt pulled her back lightly, just enough to release her and stand up from his seat. “I bet you’re just making all this klunk up, you were not my best friend. You’re bloody lying. Stop messing with my head, I don’t need it!” His voice filled with rage. He hated himself for saying something like that. He knew she wasn’t making all that up by just looking into her eyes. Newt heard her sigh. He instantly regretted what he said. Something inside him turned. He knew the virus was kicking in again. She stood up leaving the common area. Newt didn’t turn back to watch her go, he just stared at the piece of picture on the desk. It’s a picture of him and Aust, their arms placed in each other’s shoulders, smiling at the camera. They were so much younger. It felt unreal, seeing his own young self that he doesn’t remember with the girl he wants to remember more than anything in the world. She wakes up in a hospital room, with no memory of what happened to her. Her soul separates from her temple and finds her way to wake up. The boy who could see her get visions and voices inside his head. Together they're going to help each other in order for it to end.